Pictured (left to right): Bill, Clifton and Nancy Walker in one of their fields with part of their Devon herd. Walker Century Farms is a 300+ acre family farm that Nancy and William Walker own and operate in Anderson County. The farm has been in the Walker family for more than 100 years. The Walkers raise and sell pure-bred Devon cattle along with beef and pork. Sustainable and organic production practices are utilized, although the farm is not USDA Certified Organic. Our pastures are managed with organic fertilizers, and no hay is cut from the fields. Rotational grazing is practiced, resulting in more efficient grazing and better use of the land. Each section is allowed to grow new grass before being grazed again. Read more about our story in Edible Upcountry Magazine. The cows and pigs on our farm are allowed to live in a natural environment and are never given antibiotics or hormones. Our first customers recognized the health benefits of grass-fed beef but now buy from us repeatedly because the meat is not only healthy but is so good in flavor and tenderness. 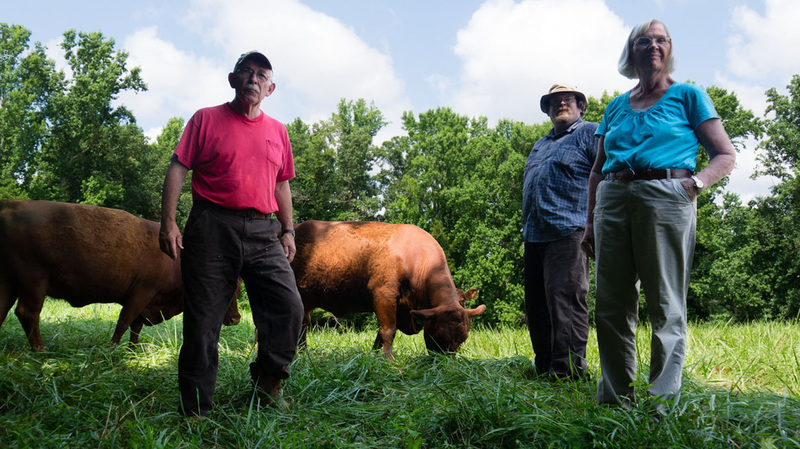 One section of the farms is devoted to pork production where the pigs have access to both pastures and woods. Pigs love the chance to forage for grubs, nuts, and other foods found in the woods and pasture. DEVON CATTLE. GRASS FED, GRASS FINISHED. Walker Century Farms currently raise and sell purebred Devon cattle breeding stock in addition to Grass Fed, Grass Finished beef. We have been using sustainable techniques on our pastures for several years. 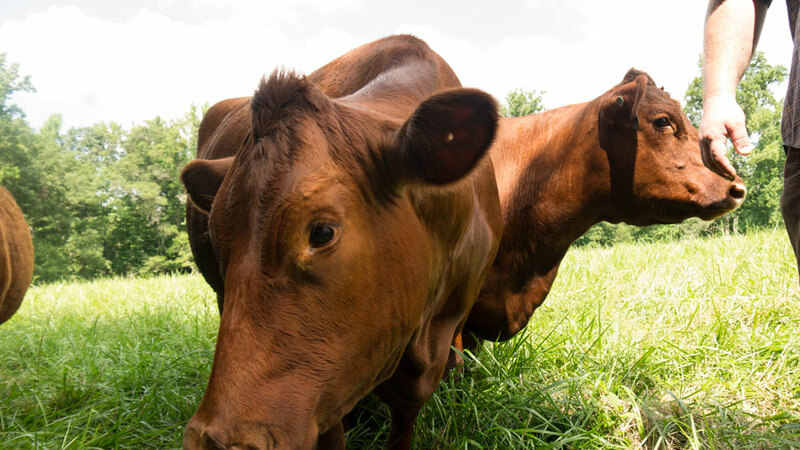 This consists of using only organic and natural fertilizers to help build up soil (never any chemical fertilizers) and rotationally grazing our animals, which allows the pastures time to recover. We are very pleased with the results; thus far our pastures are nice and green plus the cows are very happy. Our bees are a small but very important part of the farm. Since our cattle are grass fed we need pastures which have a variety of grasses, forbs, and legumes. These plants can be more sustainable when pollinated and that is where the honey bees come in. They especially help pollinate clover which in turn helps increase the amount of nitrogen in the soil. We started using goats to help with weed control and now have a thriving herd of goats. Contact us if you are interested in goat meat.